Mid-Majors. They break a few hearts in the tournament, gain a cup of coffee of national spotlight come tournament time, and for the most part, fade out of the collective memory of college basketball fans by the following season. Oh sure. You have your Gonzaga’s, your Atlantic-10 and Mountain West Conference squads, but for the most part, it’s always random when it comes to which Mid-Major squad comes into the national spotlight come tournament time. Well, as the regular seasons wind down and as we lead up to conference tournament season, here are five “under-the-radar” Mid-Majors you should start paying attention to if you’re a college basketball fan and need something to watch on ESPN3. On Thursday, the “Rushmore State” rivalry will be in full bloom as the first place SDSU Jackrabbits host the second place USD Coyotes in Brookings. Both teams have been excellent squads with sterling records (both 20-plus win teams) and some big wins (the Jackrabbits beat Iowa on a neutral court this year). However, the Summit is a one-bid lead, so unfortunately, one of these teams will be left out come Tournament time. The Jackrabbits have been an underrated Mid-Major contender for almost a decade, starting with Nate Wolters, who’s small-town Jimmy Chitwood-esque style of play got the Jackrabbits onto the national spotlight. This time around, forward Mike Daum is the centerpiece of the SDSU offense, as he is a legitimate Summit Player-of-the-Year candidate. After helping lead the Jackrabbits to a Summit League Tournament Title a year ago, and a first-round matchup against National Runner-up Gonzaga, the Kimball, Nebraska native has continued to produce despite being the target of Summit league foes all year long. He’s not quite as effective offensively (his rating has dropped from 121 to 114), but he’s become a better rebounder, has continued to carry this offense, and more importantly has helped his team “win” more, as the Jackrabbits have more wins so far this year (23) than their tournament squad a year ago (18). The rival Coyotes have been second-class citizens to the Jackrabbits since the Wolters-era. Since taking over in 2015, head coach Craig Smith has turned things around, as evidenced by a Summit regular season title a year ago, and a 24-6 mark so far this year. But last year, USD was upset in the conference tournament semifinals by their rivals from Brookings, something they hope to avoid this year. Guard Matt Mooney and Center Tyler Hagerdorn have been one of the best two-man combos in the Summit League this year, and Smith will need them to finish the season strong if they want to get over the hump and make their first NCAA Tournament since going Division 1 in 2010. The Missouri Valley has changed a lot over the past decade. 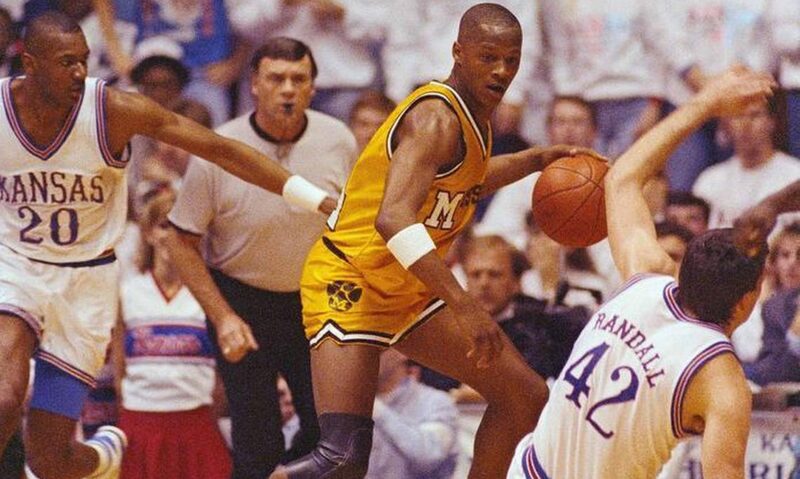 Gone are the days when Creighton and Wichita State dominated the conference. Creighton left for the Big East a while ago, and Wichita State moved over to the American to battle it out with Cincy and Houston. So a lot of the “star” power that carried the conference in the past has been sorely missed this season. While it’s nice to see Southern Illinois back in the MVC mix (Bruce Weber shout out! ), the biggest surprise has been Loyola Chicago, a former member of the Horizon Conference who joined the MVC in 2013. Porter Moser has done a phenomenal job with this Ramblers squad, which not only has the history of being the only college in Illinois to win a national title in basketball, but has also been the most successful squad in Illinois this year as well as evidenced by their 23-5 record (DePaul, Illinois, Southern Illinois, and Illinois State eat your heart out). Yes, the MVC without Wichita State has not been a strong as in year past, but that shouldn’t deter the accomplishment’s of Moser’s team this year. They have a big win over Florida on their resume, and their 13-3 mark in conference play show this team’s consistency. They are tough-minded bunch, not the most athletic team perhaps in the MVC, but fundamentally strong, and balance on both ends of the ball. Their effective field goal percentage is seventh best in the nation, and the effective field goal defense is also in the Top-40, a sign that the Ramblers can beat you if they’re not totally clicking on one side on a given night. The team has also been led by freshman post Cameron Krutwig, who is a beast on the glass, and has displayed soft and reliable touch around the rim, demonstrated by his 118.8 offensive rating and 63.2 true shooting percentage. Moser is a coaching lifer, as he has a career 216-211 record over three stops in coaching career (Arkansas Little-Rock, Illinois State and Loyola Chicago). However, while he does have a CBI title (half-hearted yay), he has yet to make a NCAA Tournament berth as a head coach. If the Ramblers finish strong, not only may he end that personal streak, but he also may pull off an upset win or two in the big dance to boot. The Conference USA certainly has its more heralded favorites this year as the conference wraps up its regular season. Middle Tennessee State has entered the AP rankings, and has a tournament pedigree thanks to head coach Kermit Davis, who has spurned many openings at bigger schools to build something special in Murfreesboro. Furthermore, second and third place squads Old Dominion and Western Kentucky also have tournament history, albeit in difference conferences (CAA and Sun Belt, respectively). But Marshall is probably the funnest team in the conference and solely due to head coach Dan D’Antoni. Yep, you heard that right. He’s the brother of Mike, the “Seven Seconds or Less” wizard who’s currently the head man of the Houston Rockets. D’Antoni’s hire initially was met with some skepticism. While D’Antoni had plentiful experience as a high school coach and NBA assistant, and was a Marshall alum, he had no head coaching experience at the college or professional level. Many wondered if he’d be able to survive the grind of college recruiting, and if he could adjust his “NBA-offense” not just to the college game, but Mid-Major players who weren’t Steve Nash, Amare Stoudemire or James Harden. After a rebuilding first year (his team went 11-21), the Thundering Herd have improved steadily each season under the affable D’Antoni. They went 17-16 two years ago, and last year they went 20-15, the first time they had won 20 games since 2012. This year, the Herd seemed poised to surpass last year’s record, as they are currently 19-8 overall, 10-4 in conference and have won 5 straight games in C-USA play. And D’Antoni has done this without adjusting his philosophy much: his team has ranked in the top-10 in tempo every year in his tenure (including the 6th fastest this year), and they attempt a lot of three’s, as their 3-pt field goal attempts percentage ranks 32nd highest this year. It will be a tough stretch as Marshall will be traveling to MTSU and UAB, two teams who are projected to beat the Herd, according to Ken Pom. However, D’Antoni’s teams have always finished the season strong, and his pick and roll heavy offense has been beautiful to watch as a fan (and infuriating to defend for C-USA squads). They may still be a year away thanks to MTSU and the C-USA being likely a one-bid lead, but the Herd made it to the C-USA title game a year ago, which they dropped to the Blue Raiders. They could make it back…only this time, the results may be different (they beat the Blue Raiders at home already this year). New Mexico State has been the class of the Western Athletic Conference since Reggie Theus was in charge almost a decade ago (in his “real” coaching debut after “Hang Time”). Grand Canyon has gotten a bit of spotlight as well, thanks to Dan Majerle and a recent ESPN article highlighting their unique status as a “for profit” school playing D1 athletics (take a gander; it’s a good read). And Seattle U (in it’s never-ending quest to join the WCC) has been a nice surprise this year, which is great to see considering the history of the school (Elgin Baylor is an alum). However, Utah Valley may be the one to emerge out of the WAC, which would be the first NCAA berth in school history after they became Division 1 in 2003. The squad is 19-8, 8-3 in conference play (which is currently tied for second with Seattle) and is coming off a big win over WAC juggernaut NMSU. Mark Pope, who is in his third year at the helm, is already coming off a CBI semifinal appearance last season. As of today, he is hoping that the school’s first ever NCAA Tournament appearance is the next step. Pope’s team plays incredibly efficient on the offensive end, as they rank 67th overall in the nation in offensive efficiency, and have posted the highest adjusted offensive efficiency in conference play. The Wolverines shoot well beyond the arc (highest 3-pt percentage in conference play) as well as overall (highest eFG% as well in WAC play), and don’t turn the ball over either (third-lowest turnover percentage) while playing a decent tempo (4th fastest tempo). They may not have the athletic depth of the Aggies or the NBA frills of Grand Canyon, but despite not being as flashy, the Wolverines still prove to be a solid basketball team, and in March, those kind of fundamentally sound squads can be more dangerous to a susceptible high-major team in the Tournament. A key to Utah Valley’s success is Oklahoma transfer Akolda Manyang, who was originally a JuCo player who came off the bench at Oklahoma before getting kicked off the team after being arrested for aggravated battery. Despite his checkered history, he has been not just a solid citizen in Salt Lake state, but he also has been an All-WAC player and borderline NBA prospect. He has the ninth-highest offensive rebounding percentage in the nation as well as the 25th highest block percentage to boot. Add that with a long 7-foot frame and a 13.4 ppg/8.3 rpg/63 percent FG line, and it makes sense why the Wolverines are on the cusp of their first NCAA Tournament appearance in school history. It won’t be easy. It’s New Mexico State’s to lose, as usual. But the Wolverines’ 7-point win on Feb. 15th was a step in the right direction, and should give them some confidence should they meet again in the WAC Championship game in Las Vegas.